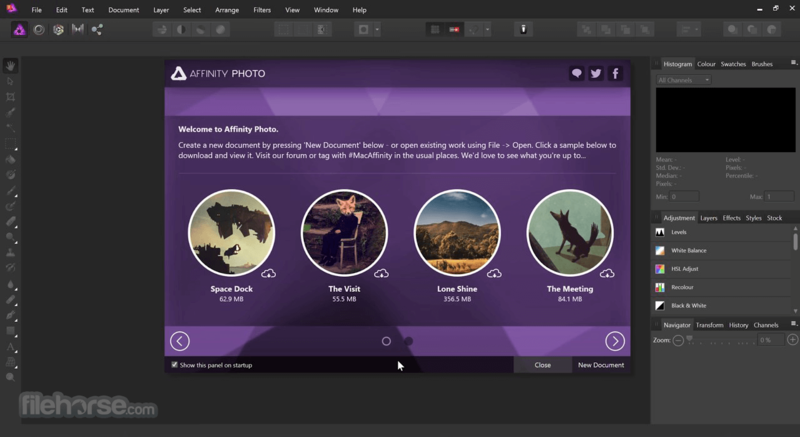 Five years in the making, Affinity Photo for PC redefines the boundaries for professional photo editing software. 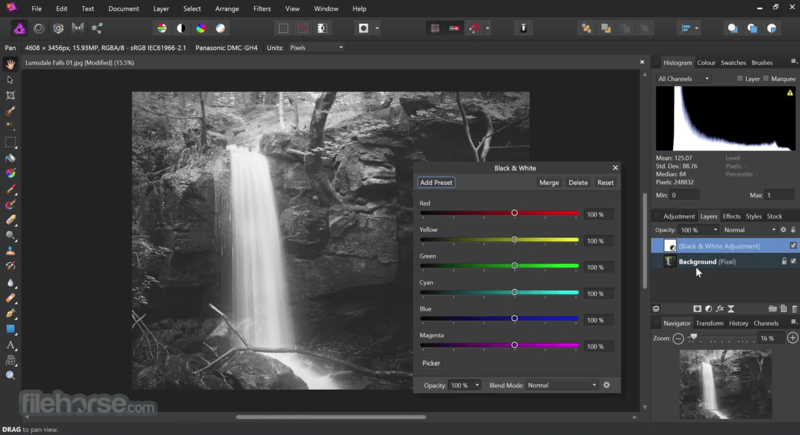 With a meticulous focus on workflow it offers sophisticated tools for enhancing, editing and retouching your images in an incredibly intuitive interface, with all the power and performance you need. 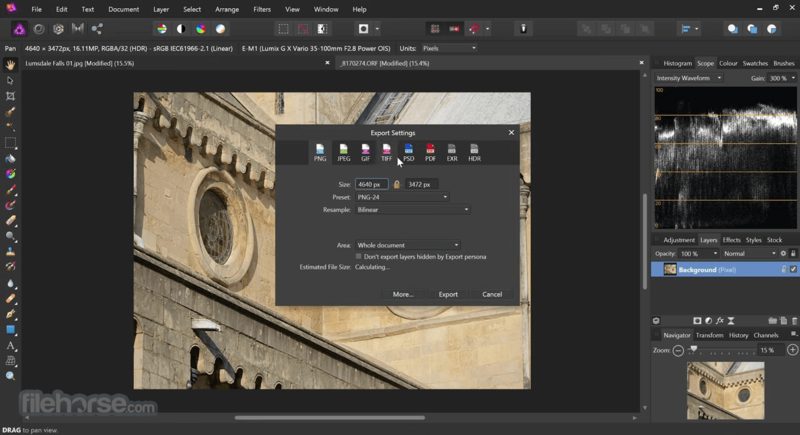 Affinity Photo for Windows - the fastest, smoothest, most precise professional image editing software, exclusively for Desktop! Download Now! RGB, CMYK, LAB, Greyscale. 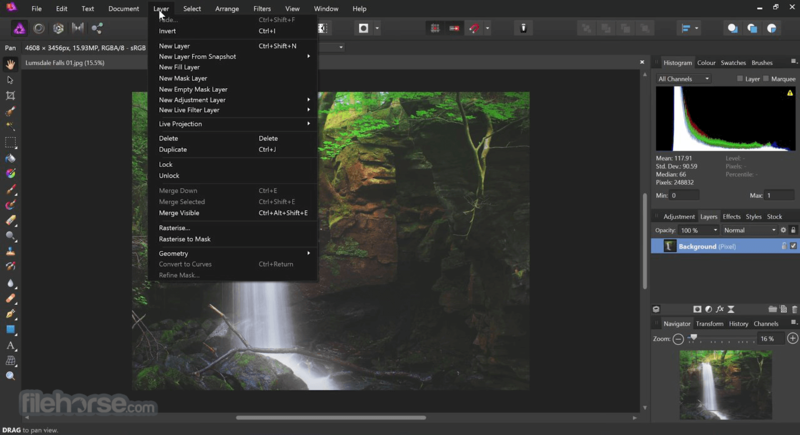 End-to-end CMYK workflow with ICC colour management, and 16-bit per channel editing. Pan and zoom at 60fps with live previews, live tools and real-time editing. Even when working on massive images with 1000s of layers. 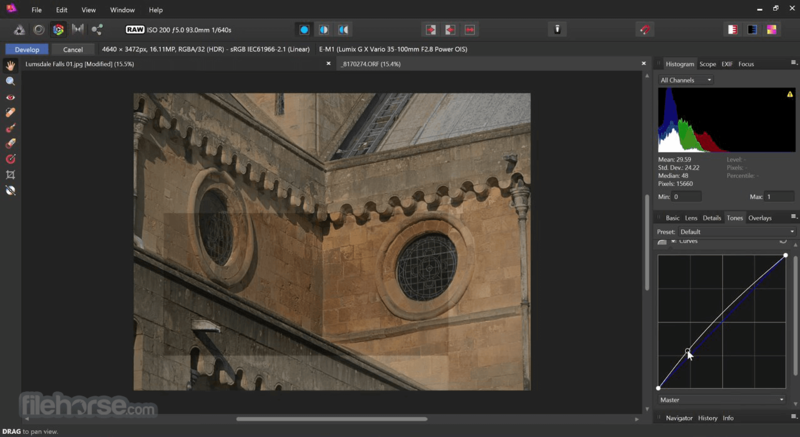 Compatible with all major camera file formats, the Develop persona offers a dedicated processing workspace offering incredibly accurate editing in an unbounded linear colour space.